Q: Where and when is BritMums Live 2013? A: We will be back again at the The Brewery, London EC1Y on Friday 21 June 15:00- 20:00 through Saturday 22 June 09:00 – 19:00. Q: How many people will be there? A: Last year there were 500 delegates, and we expect there will be even more this year, making it the UK’s biggest and buzziest blogging 2-day conference. Q: I’d like to go, but I’m worried I won’t know anyone there! A: Many bloggers feel the same way, even the old timers! We go out of our way to make new and shy bloggers welcome. If you are a bit timid, make yourself known to the BritMums Butterflies, who are there to help you meet others. Q: Do I need to be a parent to attend? A: No. While the majority of our conference delegates share the experience of parenting, they write about all kinds of topics from politics to fashion to food. All bloggers are welcome. The agenda is blogging-focused and all bloggers would benefit from the varied sessions. Book early though, as the event sells out every year. Q: Do I need to have a sponsor? A: No. We’ve subsidized the ticket price and kept it as low as possible to make it affordable to bloggers. However, a two-day conference can be quite an expense, and we recognise that some bloggers like to recruit sponsors to help cover the costs of the conference. This is fine too. Q: Can I get a sponsor for BritMums Live? A: Yes! You can get a company to sponsor you for BritMums Live. You might want to lock-in the low early bird rate while you can, and search for a sponsor later. Please keep in mind that all sponsored relationship is between you – the blogger – and your sponsor. 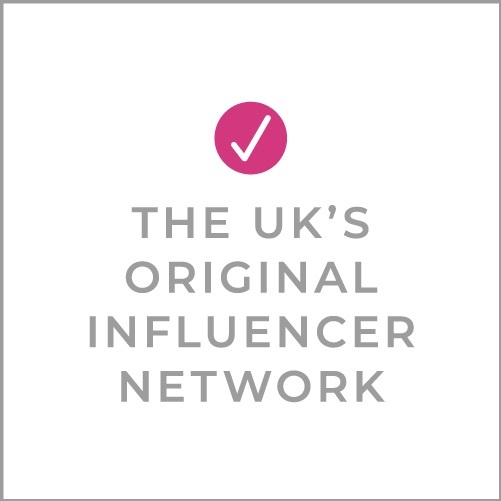 Companies that sponsor bloggers are not necessarily official sponsors of BritMums Live! The only official sponsors of BritMums Live! are those that have stands at the show. For more information on how to sponsor BritMums Live!, please email [email protected]. Q: What am I allowed to do as a sponsored blogger? Promote your sponsor on your own blog with a blog post, competition, review, or an advertisement. Your blog is your space, be creative! Bring branded business cards (have your tried Moo cards yet? They are very affordable and cute). There are also things that you can’t do as a sponsored blogger. Q: What am I not allowed to do as a sponsored blogger? Q: Do I disclose a sponsor relationship? A: We suggest that if you are sponsored that you write a blog post disclosing your relationship with your sponsor, so that your readers are aware. It is a good ethical blogging practice and also helps raise awareness for your sponsor and how they are getting involved with the blogging community. Q: Will there be childcare? A: No. Babes in arms are very welcome and we’re arranging a space for breastfeeding (and expressing!). Unfortunately we’re not able to cater for older children. Q: Is there Internet access? A: The venue has reliable Wifi, and is included in your ticket price. Q: Can I host a party for my sponsor? A. Yes, but the party must be off premises and must not interfere with the published schedule (we are keeping you busy the entire time so there is not scope for this). Our hours are noon on Friday 21st through 8 pm on Saturday 22nd). Q: Can I attend only one day? A: Yes of course – it’s the same great low price for both days. Q: Can I get a refund if I find out I can’t come? A: Unfortunately we cannot issue refunds. You can re-assign your tickets up to 8th June 2012. Please email any changes to [email protected]. Unfortunately we cannot make any changes after this date.